Including Pro-justice, 44 Syrian civil society groups sends a letter to the Office of The Prosecutor at the International Criminal Court. The groups lent in the letter full support to the Article 15 Communication submitted by the Guernica Centre for International Justice with regards to the jurisdiction of the ICC over the hideous crimes committed against the Syria civilian population. For the last 8 years, the 44 leading human rights, advocacy, and accountability groups said, “Syrians have lost so much. They have been tortured and killed. They have been forcibly displaced. They have been targeted. All of that happened and continues to happen with absolute impunity to the perpetrators. 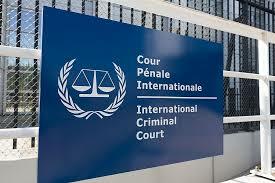 Ruling for the ICC jurisdiction mandate to include those crimes is a crucial step towards justice in Syria. The ICC has the mandate to investigate such crimes, and it needs to fulfil this mandate. In an increasingly gloomy situation, this comes as a spark of hope.” The signatories hoped to hearing some positive news for Justice in Syria soon as we renew our readiness to share evidences Syrians risked their lives to document and protect over the years; if it would mean that justice will be served. Including Pro-justice, 44 Syrian civil society groups sends a letter to the Office of The Prosecutor at the International Criminal Court. The groups lent in the letter full support to the Article 15 Communication submitted by the Guernica Centre for International Justice with regards to the jurisdiction of the ICC over the hideous crimes committed against the Syria civilian population. The signatories hoped to hearing some positive news for Justice in Syria soon as we renew our readiness to share evidences Syrians risked their lives to document and protect over the years; if it would mean that justice will be served.